Students are able to register for classes using Banner Self-Service once they are cleared to do so by their academic advisor. This page features information, deadlines and key dates pertaining to the registration process. 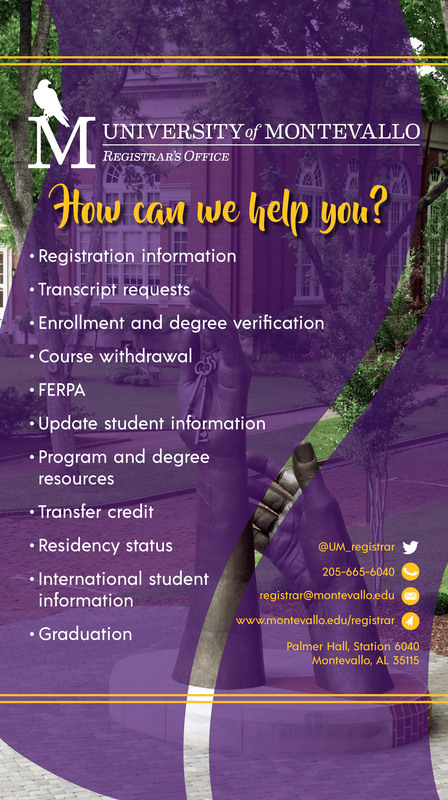 Students who have a registration hold on their account will be unable to register for classes and should contact the appropriate office or department for assistance.